28 Feb 1894 : Ada Records - Divinity of Man - "I am a spirit and not matter. The religion of the West hopes to again live with their body. Ours teaches there can not be such a state. We say freedom of the soul instead of salvation." 28 Feb 1895 : Lecture: "The Vedanta philosophy: Soul" in NYC. Swami Vivekananda writes to Sri E T Sturdy - The stenographer, who is an Englishman named Goodwin, has become so interested in the work that I have now made him a Brahmachârin, and he is going round with me, and we shall come over together to England. He will be very helpful as he has been always. Myself: Well, Swamiji, in your lectures in the West you have frequently and eloquently dwelt on our characteristic talents and virtues, and many convincing proofs you have put forward to show our whole - souled love of religion; but now you say that we have become full of Tamas; and at the same time you are accrediting us as the teachers of the eternal religion of the Rishis to the world! How is that? Swamiji: Do you mean to say that I should go about from country to country, expatiating on your failings before the public? Should I not rather hold up before them the characteristic virtues that mark you as a nation? It is always good to tell a man his defects in a direct way and in a friendly spirit to make him convinced of them, so that he may correct himself -- but you should trumpet forth his virtues before others. Shri Ramakrishna used to say that if you repeatedly tell a bad man that he is good, he turns in time to be good; similarly, a good man becomes bad if he is incessantly called so. There, in the West, I have said enough to the people of their shortcomings. Mind, up to my time, all who went over to the West from our country have sung paeans to them in praise of their virtues and have trumpeted out only our blemishes to their ears. Consequently, it is no wonder that they have learnt to hate us. For this reason I have laid before them your virtues, and pointed out to them their vices, just as I am now telling you of your weaknesses and their good points. However full of Tamas you may have become, something of the nature of the ancient Rishis, however little it may be, is undoubtedly in you still -- at least the framework of it. But that does not show that one should be in a hurry to take up at once the role of a teacher of religion and go over to the West to preach it. First of all, one must completely mould one's religious life in solitude, must be perfect in renunciation and must preserve Brahmacharya without a break. The Tamas has entered into you -- what of that? Cannot the Tamas be destroyed? It can be done in less than no time! It was for the destruction of this Tamas that Bhagavan Shri Ramakrishna came to us. Myself: But who can aspire to be like you, Swamiji? 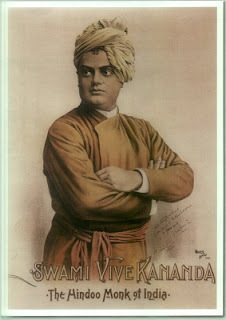 Swamiji: Do you think that there will be no more Vivekanandas after I die! That batch of young men who came and played music before me a little while ago, whom you all despise for being addicted to intoxicating drugs and look upon as worthless fellows, if the Lord wishes, each and everyone of them may become a Vivekananda! There will be no lack of Vivekanandas, if the world needs them -- thousands and millions of Vivekanandas will appear -- from where, who knows! Know for certain that the work done by me is not the work of Vivekananda, it is His work -- the Lord's own work! If one governor - general retires, another is sure to be sent in his place by the Emperor. Enveloped in Tamas however much you may be, know all that will clear away if you take refuge in Him by being sincere to the core of your heart. The time is opportune now, as the physician of the world - disease has come. Taking His name, if you set yourself to work, He will accomplish everything Himself through you. Tamas itself will be transformed into the highest Sattva! 27 Feb 1895 : Newspaper reports: "India's Gift to the World", "Child widows of India" Brooklyn Standard Union writes - Swami Vivekananda spoke of the wondrous beauties of his native land, - Bharat -"where stood the earliest cradle of ethics, arts, sciences, and literature, and the integrity of whose sons and the virtue of whose daughters have been sung by all travelers." Then the lecturer showed in rapid details, what India has given to the world. ...India has given to antiquity the earliest scientifical physicians, and, according to Sir William Hunter, she has even contributed to modern medical science by the discovery of various chemicals and by teaching you how to reform misshapen ears and noses... India's message is, that calm goodness, patience and gentleness will ultimately triumph.
. . . "It is not the building that makes the home, but it is the wife that makes it," ("") says a Sanskrit poet, and how true it is! The roof that affords you shelter from heat and cold and rain is not to be judged by the pillars that support it — the finest Corinthian columns though they be — but by the real spirit-pillar who is the centre, the real support of the home — the woman. Judged by that standard, the American home will not suffer in comparison with any home in the world. I have heard many stories about the American home: of liberty running into licence, of unwomanly women smashing under their feet all the peace and happiness of home-life in their mad liberty-dance, and much nonsense of that type. And now after a year's experience of American homes, of American women, how utterly false and erroneous that sort of judgment appears! American women! A hundred lives would not be sufficient to pay my deep debt of gratitude to you! I have not words enough to express my gratitude to you. "The Oriental hyperbole" alone expresses the depth of Oriental gratitude — "If the Indian Ocean were an inkstand, the highest mountain of the Himalaya the pen, the earth the scroll and time itself the writer" (Adapted from the Shiva-Mahimnah-Stotram.) still it will not express my gratitude to you! Last year I came to this country in summer, a wandering preacher of a far distant country, without name, fame, wealth, or learning to recommend me — friendless, helpless, almost in a state of destitution and American women befriended me, gave me shelter and food, took me to their homes and treated me as their own son, their own brother. They stood my friends even when their own priests were trying to persuade them to give up the "dangerous heathen" — even when day after day their best friends had told them not to stand by this "unknown foreigner, may be, of dangerous character". But they are better judges of character and soul — for it is the pure mirror that catches the reflection. And how many beautiful homes I have seen, how many mothers whose purity of character, whose unselfish love for their children are beyond expression, how many daughters and pure maidens, "pure as the icicle on Diana's temple", and withal with much culture, education, and spirituality in the highest sense! Is America then full of only wingless angels in the shape of women? There is good and bad everywhere, true — but a nation is not to be judged by its weaklings called the wicked, as they are only the weeds which lag behind, but by the good, the noble, and the pure who indicate the national life-current to be flowing clear and vigorous. Do you judge of an apple tree and the taste of its fruits by the unripe, undeveloped, worm-eaten ones that strew the ground, large even though their number be sometimes? If there is one ripe developed fruit, that one would indicate the powers, the possibility and the purpose of the apple tree and not hundreds that could not grow. And then the modern American women — I admire their broad and liberal minds. I have seen many liberal and broad-minded men too in this country, some even in the narrowest churches, but here is the difference — there is danger with the men to become broad at the cost of religion, at the cost of spirituality — women broaden out in sympathy to everything that is good everywhere, without dosing a bit of their own religion. They intuitively know that it is a question of positivity and not negativity, a question of addition and not subtraction. They are every day becoming aware of the fact that it is the affirmative and positive side of everything that shall be stored up, and that this very act of accumulating the affirmative and positive, and therefore soul-building forces of nature, is what destroys the negative and destructive elements in the world. Oakland Tribune 'Vedantism and what it is and what it is not' - Newspaper report : Lecture of Swami Vivekananda on the Religion of the Hindoos ...It is the Only Creed, He Says, that Can Be Taught Without Lies and Without Compromise.. The Hindoo believes he is a spirit. Him the sword cannot pierce, him the fire cannot burn, him the water cannot melt, him the air cannot dry. He believes every soul is a circle whose circumference is nowhere, but whose center is located in a body. Death means the change of this center from body to body. We are the children of God. Matter is our servant..... The great cornerstone of Vedantism is the recognition of Self. Man, have faith in yourself. The soul is the same in every one. It is all purity and perfection and the more pure and perfect we [you] are the more purity and perfection you will see..... Vedantism is the only religion that can be taught without lies, without stretching the texts, without compromise. In this, the 150th birth anniversary year of Swami Vivekananda, it is instructive to ponder over the common spirituality that existed between Swami Vivekananda and Veer Savarkar today (26 February 2013), the atmarpan divas of Savarkar. "I will drink the ocean", says the persevering soul, "at my will mountains will crumble up". "Have that sort of energy, that sort of will, work hard and you will reach the goal." These inspiring words of the patriotic monk Swami Vivekananda who was goading Indians to show courage are true for all ages. A legendary revolutionary who came under the spell of his emboldening words and brought many more under his own spell was Veer Savarkar. The driving power behind all the sacrifices which he made for national welfare was his innate spirituality - subtle but sublime. In the prime of his youth he suffered 14 years of imprisonment, more than 10 years of which were spent undergoing inhuman and torturous rigors of cellular jail in Andaman. Nonetheless he underplays his sufferings by describing them as "penances" carried out by him to discharge his debt towards the great forefathers of his dear Motherland! Was sacrificed on Thy altar. he too followed him into the flames; and now here am I, O Mother! Bound to thy sacrificial pillar: What of these ! could hold me back from the call of thy trumpet! Nothing could make Savarkar turn his back to Motherland's call for freedom. He made a virtual bonfire of family life to see India free. It was as if all the three brothers plunged into the sacrificial pit and made a veritable yagnya of their lives. The sufferings endured by elder brother of Savarkar, Ganeshpant were no less. He too continued to suffer in the Andaman the same inhuman treatment for more than a decade and lost his wife while he was still in prison. The saga of Savarkar brothers is a saga of selfless and supreme sacrifice - a sacrifice without regrets and a sacrifice never flaunted. Savarkar's spirituality which is the very basis of his outlook towards life is reflected in a letter written by him from Andaman to his younger brother in which observes thus: "The finest ideal for a young man is not to acquire but to sacrifice; not to forget that the garden that sheds all its flowers for the garland of Gods, is in blossom for ever." What Savarkar observes reminds us of a similar exhortation by Vivekananda to the youth. "This is the time to decide your future- while you possess the energy of youth, not when you are worn out and jaded... for the freshest, the untouched and unsmelled flowers alone are to be laid at the feet of the Lord, and such he receives..."
Vivekananda's expectation from fellow Indians was - "... forget not that thy marriage, thy wealth, thy life are not for sense pleasure, are not for thy individual personal happiness; forget not that thou art born as a sacrifice to Mother's altar..." As spelt out by Vivekananda very clearly the God to be worshipped and Mother for whom sacrifice was to be made was no stone sculpted idol but "our great Mother India... the only god.." to use his very own words. It is for this reason that service to Motherland was for Savarkar the highest form of worship as is evident when he writes - "Thy cause is Holy ! Thy cause I believed to be the cause of God! and in serving it I knew I served the Lord". An humble homage to a great patriot who translated the thoughts of Vivekananda into action. 25 Feb 1898 : Took possession of the Belur land that the Math was ultimately built on. 25 Feb 1899 : Lecture: "The Claims of Vedanta on the Modern World" in the Parliament of Religions at the Unitarian Church of Oakland, CA. (Oakland Enquirer report of this lecture) ..Where is the solution of this world? Those who look outside will never find it; they must turn their eyes inward and find truth. Religion lives inside. ..We know that in science as we increase the velocity, the mass decreases; and as we increase the mass, the velocity decreases. Thus we have matter and force. The matter, we do not know how, disappears into force, and force into matter. Therefore there is something which is neither force nor matter, as these two may not disappear into each other. This is what we call mind — the universal mind. 24 Feb 1898 : Newspaper Report: Indian Mirror - "Bhakti" Swami Vivekananda has been urging on the people of Lahore and Sialkote the need of practical work. The starving millions, he urged, cannot live on metaphysical speculation; they require bread; and in a lecture he gave at Lahore on Bhakti, he suggested as the best religion for to-day that everyman should, according to his means, go out into the street and search for hungry Narayans, take them into their houses, feed them and clothe them. The giver should give to man, remembering that he is the highest temple of God. He had seen charity in many countries, and the reason of its failure was the spirit, in which it was carried out. "Here take this and go away". 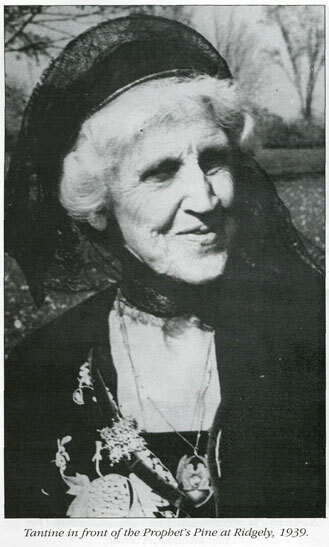 Charity belied its name so long as it was given to gain reputation or applause of the world. I send you a newspaper cutting of the short sketch of our religion which I read before them. Most of my speeches are extempore. I hope to put them in book form before I leave the country. I do not require any help from India, I have plenty here. Employ the money you have in printing and publishing this short speech; and translating it into the vernaculars, throw it broadcast; that will keep us before the national mind. In the meantime do not forget our plan of a central college, and the starting from it to all directions in India. Work hard. . . . The Indian nation cannot be killed. Deathless it stands, and it will stand so long as that spirit shall remain as the background, so long as her people do not give up their spirituality. Beggars they may remain, poor and poverty-stricken, dirt and squalor may surround them perhaps throughout all time, but let them not give up their God, let them not forget that they are the children of the sages....my Master's message to mankind is: "Be spiritual and realise truth for Yourself." ..To proclaim and make clear the fundamental unity underlying all religions was the mission of my Master. ..He left every religion undisturbed because he had realised that in reality they are all part and parcel of the one eternal religion. Thus, Loving India for him was to imbibe her philosophy which was as deep as the ocean, as high as the Himalayas and as vast as the Indian plans. Karma - Bhakti - Jnana Yogas illustrate the wide scope and opportunities available to man to experiment with his own life. This understanding made Swamiji carefully scrutinize and practise the four yogas and update them, so as to explain them in modern times, to the modern man, in modern language and idioms. That is what made Swami Vivekananda's teachings so very unique, practical and universal.Our Dharma sastras, after thoroughly analyzing the human possibilities came to the conclusion that every human being is endowed with three instruments for the manifestation of Divinity in one's life. They are body, mind and intellect and through them flow actions, thoughts and knowledge. Knowledge in the intellect manifests in the mind as thoughts and as actions in the body. Action, thought and knowledge of a wise person will ever be illumined with wisdom and that of an ignorant person will always be under the shadow of ignorance. Sruti provides three means of enriching and fine tuning these three instruments with knowledge. They are Karma, Upasana and Jnana or in other words Karma Yoga, Bhakti Yoga and Jnana Yoga. Sruti adds that a person can attain perfect gnosis when he is able to practise simultaneously Karma Yoga at his body level, Bhakti Yoga in his mind and Jnana Yoga in his intellect. It is this philosophical Truth that our sages discovered through their own magnificent super human, cognitive powers. This has been endorsed by Swami Vivekananda in all his teachings. Therefore, in tune with the teachings of our great sages who brought out this Eternal Wisdom to the notice of the suffering humanity through their immortal words “Srinwanthu vishwe amritasya putrah”, so did Swamiji, through his immortal messages bring this Eternal Wisdom to eradicate the sufferings of the modern man. Swamiji scrutinized each and every declration of the great rishis, contemplated upon it and made them part of his life's experience before sharing it with humanity at large. That is why his words fell like sparks of fire destroying the ignorance of the listeners and igniting in them the thirst for knowledge. The future expansion of India certainly lies in continuing our efforts in the glorification of human life pursuing the path of Satya and Dharma. Even a little knowledge of this, as Sri Krishna puts in Gita can save us from great calamities in life. In fact it is these values, which have preserved India throughout her incomparably long existence. These values, more than ever need perpetuation today, not through books,dogmas, rituals, temples or constitutional amendments, but through throbbing vibrant human lives so that they stand renewed and revived, simultaneously, rejuvenating our great Motherland and enriching the world civilization. To restore our Mother back to her vigour, health and glory we have to make use of the most modern scientific knowledge blending it with our ancient wisdom. This tonic has to be mixed with a portion of our hearts' aspirations. It also needs curing in the fumes of our self-sacrifice. Definitely it is a better way of living than wasting our precious lives through addiction to drugs, alcohol or other varieties of self-destroying influences. Swamiji firmly believed that “On our work depends the coming of the India of the future. She is there ready waiting. She is only sleeping. Therefore to make a great future India, the whole secret lies in organization, accumulation of power, co-ordination of wills. Already before my mind rises one of the marvelous verses of the Rig-Veda Samhita which says, “Be thou all of one mind, be thou all of one thought”……. Being of one mind is the secret of society…. That is the secret-accumulation of will-power, co-ordination, bringing them all, as it were, into one focus. Our Youth should strive for Eternal Life through their selfless surrender to the ideals our nation has always upheld. This is the challenge, which the Indian youth faces today. If we cling on to the old without allowing it to become our own lives' experience we would become “kupamandukas” (frogs in the well) which sooner or later would lead to our cultural and spiritual death. That would also mean closing our doors on expansion, growth and freedom. Those who adore Swamiji have to see that these universal values in life are restored and not lost forever. Otherwise it would also mean the death of the most unifying and Universal Spiritual Tradition in the world. Such a thing can never be…..
22 Feb 1897 : Newspaper Report: "The Swami's return to Calcutta after his visit to the West..." The Indian Nation writes - " But Vivekananda has here a more serious duty to perform. He has not only to teach but to learn. For where is Hinduism better learnt than in the land of Hindus ? It is here then that he must add to his learning, enlarge his thought, perfect his wisdom. It is here that he has to face the stiffest problems of life." Whenever Swami Vivekananda's admirers asked him in what way they can serve him, he simply told them 'Love India'. Loving India assured, in Swamiji's mind, a sure transformation of the personality of the such a person. The best gift we can give to Swamiji on his 150 Birthday is learning to 'Love India' and through the process transform ourselves into better human beings and thus fulfill the destiny of our great Motherland. "I too believe that India will awake again, if anyone could love with all his heart the people of the country–bereft of the grace of affluence, of blasted fortune, their discretion totally lost, down–trodden, ever–starved, quarrelsome, and envious. Then only will India awake, when hundreds of large-hearted men and women, giving up all desires of enjoying the luxuries of life, will long and exert themselves to their utmost for the well-being of the millions of their countrymen who are gradually sinking lower and lower in the vortex of destitution and ignorance." (V. 125-26). Swamiji was enchanted more by the spiritual power that was hidden in India than in her soul-absorbing physical attributes. The latter was a manifestation and exemplification of the inner spirit of oneness and universality that the 'Mother' has harboured from time immemorial. It is this Inner Spirit that had to be rejuvenated and revitalized for the regeneration of the present. That rejuvenation of spirit can be achieved only in one way – that is through her own children, destined to be born in this Punya bhumi, imbibing those values and reliving them in their own lives. What the world needs are manifestations of 'Be and Make', of Satya and Dharma, not just prattle about values. Indian society is truly the only gymnasium where this exercise can be undertaken. That it is possible to transform Truth into life principles (Dharma) which can help man in his self unfoldment has been demonstrated by countless sages and saints from all parts of the country from time immemorial. To press upon the people this great idea of the magnificence of human life and its possibilities was the crux of the message of Swamiji. Swamiji loved India because She was the cradle of civilization, the birthplace of the realization of the Ultimate Truth and it was from here that the light of omniscience, omnipresence, and omnipotency of Truth radiated to other parts of the world. Swamiji loved India because She was Dharmabhumi. It was here that Truth lent itself to be translated into human thoughts, words and interactions establishing the interconnectedness, interrelatedness and interdependence of the whole Universe. Swamiji loved India because She was Karmabhumi, where karma or work has been so intensively analysed leading to the discovery that work could indeed be a means to manifest the Divinity within man. Swamiji loved India because She was Yanjabhumi. It was here that the immense potential of the spiritual energy hidden in the Nishkama Karma was discovered and brought out for the common good of the people. Swamiji loved India because here was a Tapobhumi where the rishis formulated the superfine technique of stopping the wastage of spiritual energy through controlling the senses from their outgoing habit and directing it towards realization of the Truth. Thus, Loving India for him was to imbibe her philosophy which was as deep as the ocean, as high as the Himalayas and as vast as the Indian plans. Karma - Bhakti - Jnana Yogas illustrate the wide scope and opportunities available to man to experiment with his own life. This understanding made Swamiji carefully scrutinize and practise the four yogas and update them, so as to explain them in modern times, to the modern man, in modern language and idioms. That is what made Swami Vivekananda's teachings so very unique, practical and universal. 21 Feb 1894 : Swami Vivekananda in Detroit - Lecture: "Hindus and Christians" -Of the different philosophies, the tendency of the Hindu is not to destroy, but to harmonise everything. If any new idea comes into India, we do not antagonise it, but simply try to take it in, to harmonise it, because this method was taught first by our prophet, God incarnate on earth, Shri Krishna...And whenever your ministers criticise us, let them remember this: If all India stands up and takes all the mud that is at the bottom of the Indian Ocean and throws it up against the Western countries, it will not be doing an infinitesimal part of that which you are doing to us. And what for? Did we ever send one missionary to convert anybody in the world? We say to you, "Welcome to your religion, but allow me to have mine." Newspaper Report: "The Love of God" - Love, he said, was a sacrifice. It never takes, but it always gives. The Hindu never asks anything of his God, never prayed for salvation and a happy hereafter, but instead lets his whole soul go out to his God in an entrancing love. That beautiful state of existence could only be gained when a person felt an overwhelming want of God. Then God came in all of His fullness.....Kananda said that a true lover of God would be so wrapt up in his love that he would have no time to stop and tell members of another sect that they were following the wrong road to secure the God, and strive to bring him to his way of thinking. This Incarnation of God preached himself first: "I am the God Incarnate, I am the inspirer of all books, I am the inspirer of all religions." Thus we do not reject any. There is one thing which is very dissimilar between us and Christians - idea of salvation That is the idea of salvation through Jesus' blood, or cleansing by any man's blood. Our sacrifices mean simply this: Here is some food I am going to eat, and until some portion is offered to God, it is bad; so I offer the food. So that doctrine never cropped up amongst us, and our prophet says that whenever evil and immortality prevail on earth, He will come down and support His children; and this He is doing from time to time and from place to place. And whenever on earth you see an extraordinary holy man trying to uplift humanity, know that He is in him.So you see that is the reason why we never fight any religion...We do not say that ours is the only way to salvation. We see the holiest of men in all countries, good men and women everywhere, whether born in our faith or not. Therefore it cannot be held that ours is the only way to salvation. One thing I would tell you, and I do not mean any unkind criticism. You train and educate and clothe and pay men to do what? To come over to my country to curse and abuse all my forefathers, my religion, and everything. They walk near a temple and say, "You idolaters, you will go to hell." But they dare not do that to the Mohammedans of India; the sword would be out. We never teach our children to swallow such horrible stuff: "Where every prospect pleases and man alone is vile." And whenever your ministers criticise us, let them remember this: If all India stands up and takes all the mud that is at the bottom of the Indian Ocean and throws it up against the Western countries, it will not be doing an infinitesimal part of that which you are doing to us. Did we ever send one missionary to convert anybody in the world? We say to you, "Welcome to your religion, but allow me to have mine." You call yours an aggressive religion. You are aggressive, but how many have you taken? Every sixth man in the world is a Chinese subject, a Buddhist; then there are Japan, Tibet, and Russia, and Siberia, and Burma, and Siam; and it may not be palatable, but this Christian morality, the Catholic Church, is all derived from them...Did we ever send one missionary to convert anybody in the world? We say to you, "Welcome to your religion, but allow me to have mine." You call yours an aggressive religion. You are aggressive, but how many have you taken? Every sixth man in the world is a Chinese subject, a Buddhist; then there are Japan, Tibet, and Russia, and Siberia, and Burma, and Siam; and it may not be palatable, but this Christian morality, the Catholic Church, is all derived from them. Well, and how was this done? Without the shedding of one drop of blood! With all your brags and boastings, where has your Christianity succeeded without the sword? Show me one place in the whole world. One, I say, throughout the history of the Christian religion — one; I do not want two. I know how your forefathers were converted. They had to be converted or killed; that was all. What can you do better than Mohammedanism, with all your bragging? "We are the only one!" And why? "Because we can kill others." The Arabs said that; they bragged. And where is the Arab now? He is the bedouin. The Romans used to say that, and where are they now? Blessed are the peace-makers; they shall enjoy the earth. Such things tumble down; it is built upon sands; it cannot remain long. Everything that has selfishness for its basis, competition as its right hand, and enjoyment as its goal, must die sooner or later. Such things must die. Let me tell you, brethren, if you want to live, if you really want your nation to live, go back to Christ. You cannot serve God and Mammon at the same time. All this prosperity, all this from Christ! Christ would have denied all such heresies...Better be ready to live in rags with Christ than to live in palaces without him.